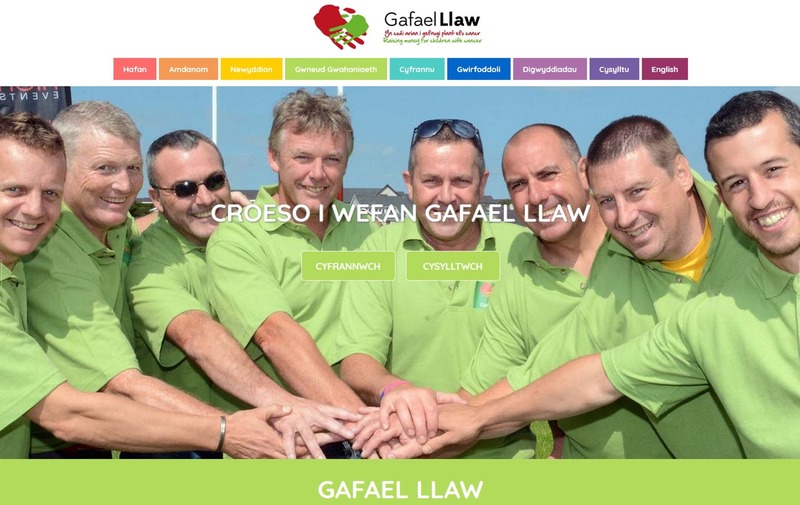 Every year we design, build and maintain one website free of charge for a local good cause; this year we have selected Gafael Llaw. Gafael Llaw is a local charity based in Caernarfon which supports children and young people from Gwynedd and Anglesey with cancer. We have created a responsive, bilingual, content management website site which reflects their brand and we hope will assist them in sharing information, attracting new volunteers and raising money for such a worthy cause. Delwedd admires the good work that is carried out by Gafael Llaw in raising money for children with cancer and their families. Ward Dewi Ysbyty Gwynedd, Alder Hey Hospital and Clic Sargent are so important to these families and Gafael Llaw spends the money raised carefully to try and support them. Gafael Llaw chairman, Iwan Trefor Jones said: “We are very grateful to Delwedd for the professional work and services they have given us completely free. All the work that is carried out by our charity is done by volunteers, which ensures that all the money goes directly towards the cause, so receiving support like this from Delwedd is worthwhile. To see the new website, visit www.gafael-llaw.co.uk. Last year Delwedd created a free of charge website for Cylch Meithrin Y Felinheli, and in previous years we have created, hosted and maintained numerous other websites which include Ysgol Pendalar, Gŵyl Bethel and Gwynedd and Anglesey Relay For Life. Our support is ongoing for these websites and we wish them all success in the good work that they do.